In need of a good read this summer? Allow me to make a suggestion, if I might. PUH-LEEEZE get your hands on a copy of, When Did I Get Like This? by Amy Wilson, author of the off-Broadway hit, Mother Load. I have laughed and cried and shouted, “Amen, sister!” countless times while devouring this book. I even stayed up late and woke up extra early to get my fix, and finished it in just a few days. I haven’t read a book that quickly since BEFORE Darah was born. 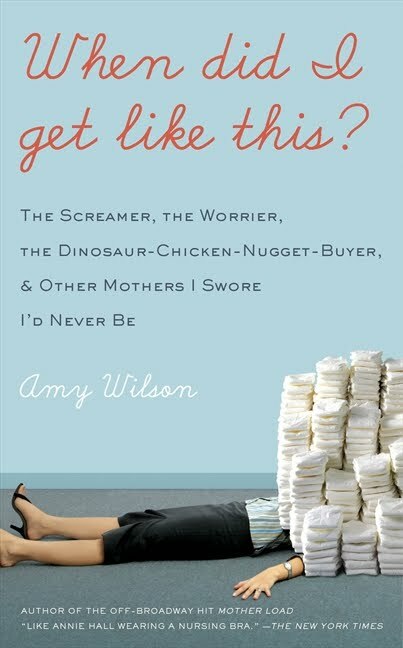 One of the major things that I appreciate about this book is how Amy breaks down why so many of us find ourselves to be guilt-ridden chronic worriers as young mothers. I’m not saying that none of us possessed any of those tendencies before we got pregnant, but if you are able to NOT possess them by the time you pass your first trimester, then you are a rare breed, indeed. And it’s no wonder, because everywhere we turn, we face an onslaught of CRITICAL information, much of it contradictory, and we had better pick a path to follow, because it will impact our children FOREVER. Oh yeah, and whatever path you pick, there’s another path (or 12), filled with folks pointing at you and telling you that YOU CHOSE WRONG!!!! Here’s an example. When you find out you are pregnant for the first time, you will probably pretty quickly read up on the “best practices” for your pregnancy. For those of us who need a cup of coffee in the morning, Amy points out this tid bit that we learn, “Caffeine causes miscarriages! (Wait, no it doesn’t! (Hold on, yes it does! (Sometimes!))) When we can’t be sure that anything is safe, what are we supposed to do but worry?” (p. 5). Oh man, when I read that passage memories just flooded back to me of staring down teeny tiny cups of coffee that I poured for my pregnant self in moments of reckless abandon, and then berated myself heavily about for even THINKING about taking a wee little sip. I tortured myself over this issue. And countless others. Did I mention the coffee was decaf? But see, I read somewhere that even decaf coffee has a little bit of caffeine in it…. One other section that really resonated with me in this chapter was when Amy talks openly about the trouble she and her spouse had conceiving. While I never had to take infertility drugs, my first pregnancy was actually a chemical pregnancy, and so I miscarried. When I found out I was pregnant again a few months later, I was VERY guarded with my feelings on it. I was downright suspicious until I got further along than I had with the first pregnancy, and I remained skeptical at best until I heard a heartbeat at 8 weeks. Amy hits the nail on the head about having trouble conceiving when she writes, “Infertility robs you of many things along the way, but the last thing it steals from you is the ability to celebrate being pregnant, if and when it actually happens. You are told not to believe too fully, to want too much. You cannot jubilate. You only, slowly, exhale” (p. 25). There’s SO much good stuff in here, people! I only highlighted things from the beginning, but I think they give you a taste of the insight that Amy has to share about why it is so extremely difficult to not be a giant sack of worry as a new mom, and she also shares, through her own story, ways to get to the other side, to the “good enough” place that will set you free. Win it! : No excuses, here’s your chance to win an autographed copy of When Did I Get Like This? The contest will run until June 4th at 11:59pm EST when a winner will be selected using Random.org. The winner will have 48 hours to respond to winning notification before the prize is forfeited and a new winner is selected. Open to residents of the United States. Limit one entrant per household, please. REMEMBER, YOU MUST BE A PUBLIC FOLLOWER VIA GOOGLE FRIEND CONNECT TO BE ELIGIBLE FOR A GIVEAWAY. YOU CAN SIGN UP ON MY SIDEBAR IF YOU HAVEN’T DONE SO ALREADY. My answer: I had every intention of being VIGILANT about keeping Darah away from television until she was 2, and then letting her watch 15 minutes a day, at most. I still secretly wish I had stuck to this ideal, but uh, yeah. Totally didn’t. Some days she doesn’t watch any tv at all, and other days, she watches an hour. There, I said it. 1. 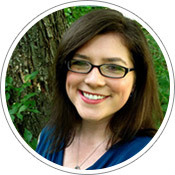 Sponsor love: Subscribe to Amy’s blog. It’s refreshing. You’ll love it! Disclosure: I received a complimentary book for review purposes. The opinions expressed here are strictly my own. This post contains affiliate links.